Home » Science » Why do tides ebb and flow? In a Nutshell : Tides ebb and flow because the tidal pull of the moon stays in one place while the Earth spins round. Tides are caused by the gravitational attraction between the moon and the Earth. The ground is too solid to move much in response to the moon’s tidal pull, but the oceans are liquld and they get pulled towards it. The result is that the oceans bulge out towards the moon. 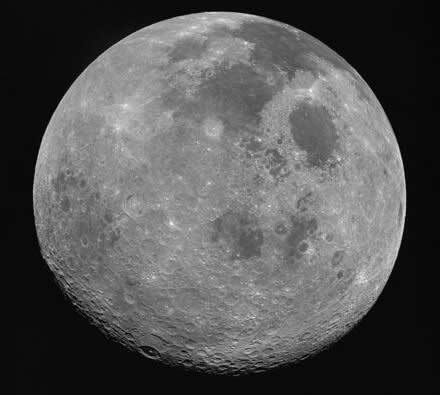 The moon does go around the Earth, but it moves pretty slowly compared to the daily rotation of the Earth, so for all intents and purposes the moon stays in the same place as the Earth spins round. This means that the tidal bulge caused by the moon also stays in the same place. That beach you are sitting on passes through the bulge once every twenty-four hours, and there is also a complementary bulge on the other side of the planet from the moon, so your beach actually passes through two bulges every twenty-four hours, which is why there are two tides a day. As your beach passes into the bulge the sea level starts to rise – this is the tide coming in or flowing – until it reaches a maximum height: high tide. Then as the beach passes out of the bulge the tide goes out or ebbs. Tides are also affected by the gravitational pull of the sun, and by the depth of the ocean and the shape of the land. At the Bay of Fundy in Nova Scotia the shape of the coastline and sea bottom combine to create the world’s biggest tidal range (difference between high and low tide), up to 17 m (18.6 yd) – this is the height of a five-storey building.